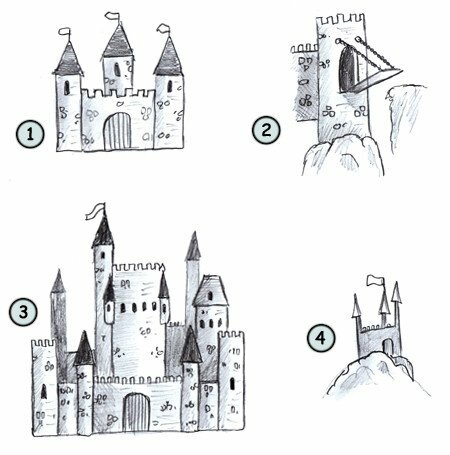 Drawing a cartoon castle: some fun facts before starting sketching! There is only one five-sided castle in England (Mitford Castle). The Windsor castle is the biggest in England. The Prague Castle is probably one of the biggest in the world. Imagine you are a cartoon knight entering a big castle! How fun could it be? 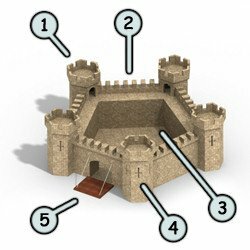 This cool castle is made of five towers (1), some arrow slits (4), a drawbridge (5) and a small ward (3). This castle is pretty basic. You can easily draw one with numerous towers, a chapel, dungeons and many more other parts. Complex castle are fun to draw and the effect is really more spectacular. Since this castle has five towers, you can see that it is made of a big pentagon. The towers are made with cylinders. In this case, the castle seems perfect. All proportions are accurate. This one doesn't have a chapel or any dungeons so it is really simple to figure out. The drawbridge is made of a rectangle and the main entrance is drawn with an arc. 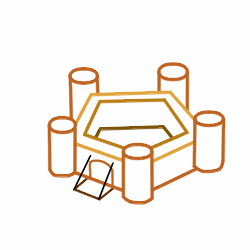 Let's try to draw our castle. 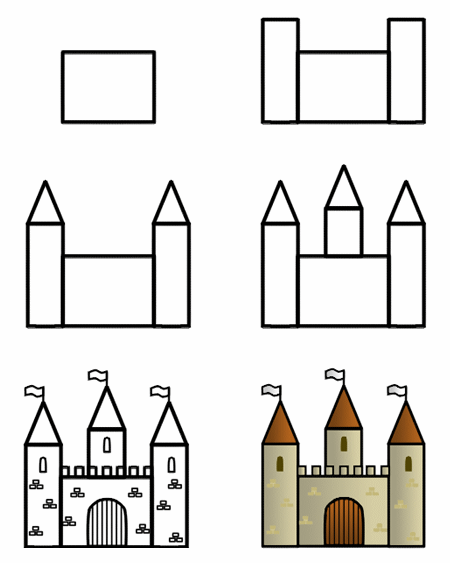 First, draw three rectangles, two for the towers and one for the main wall. Next draw two triangles to form the conical spire. Repeat the same process to sketch another tower in the middle. Add some details like the flags, bricks and the arrow slits. Add some colors and voila!